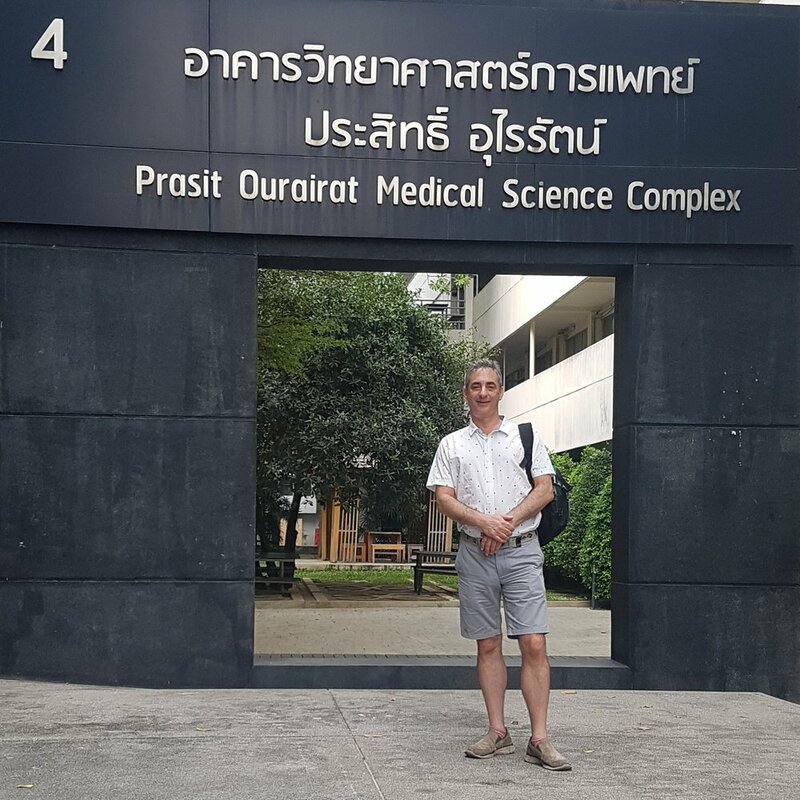 To kick the year off, I had the honour and pleasure to meet with a great team of professional Medical Cannabis Researchers at Rangsit University in Bangkok, Thailand where I learnt there is a great deal of excitement about the potential for cannabis based medicines and that they have only just started on this journey after their government announced that cannabis could be legally used and researched as a medicine from January 1st 2019. After a round of introductions in the filled meeting room, team leader, Dr Surang Leelawat, apologised to me, saying that whilst they were very keen to do so, they didn’t feel they would have much to share at this stage. I reiterated that my primary goal in coming to meet them was to start building a collaborative network of excellence in Medical Cannabis Research with like minded organisations willing to share their research and data for the benefit of all patients around the world. I sensed the delight around the room as I offered to share United Patients Alliance 2018 Patient Survey Results along with The Centre for Medicinal Cannabis Blueprint for future policy implementation and they focused in very quickly on how the law was in the UK and what the recent changes actually meant for researchers and patients. They were stunned, and a little envious of the lack of legal restrictions on CBD but empathised completely on the Schedule 1 status of THC and related cannabinoids. Perhaps I shouldn’t have been as surprised as I was at how much they had heard about UK Government Minister’s family connections to GW Pharmaceuticals and I did have to explain the kinds of political hurdles we have had to face in the past, along with the ones yet to come and they fully recognised that even after the law changes, as it has now done in Thailand, it is going to take some time for the medical profession to feel comfortable supporting prescriptions for cannabis based medicines and for the stigma resulting from decades of misinformation to be addressed. 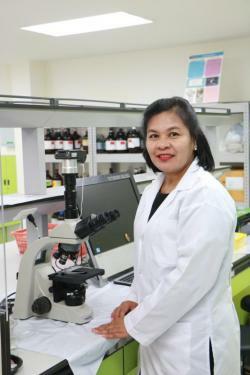 In addition to Dr Surang Leelawat, Thailand's two other pioneers in cannabis study are both female pharmacists from the university's pharmacy faculty: Assoc Prof Dr Narisa Kamkaen and Dr Worawan Saingam. Dr Worawan Saingam is in charge of formulation development of oromucosal spray from cannabis extract. She applies the approved formula of FDA, which is used in licensed cannabis-based medicine in developed countries like the United Kingdom. It indicates that each 100 microlitre spray contains 2.7mg of THC and 2.5mg of CBD. Together they are the first Thai academics to conduct groundbreaking research on the use of marijuana extract to treat cholangiocarcinomas, or bile duct cancer. . They are facing many of the same challenges as we in the UK, though the fear of legal consequences are significantly higher, commensurate with the stiffer penalties that exist here and the biggest single fear about cannabis is not psychosis or schizophrenia, which one doctor in the meeting laughed at and criticised as “childish”, but laziness which is quite specific to the culture here and accusations of such is a very touchy subject. In some ways, this helps to reflect that since the initial prohibition has no scientific or factual reasons to support it, different cultures seems to have drawn from individually relevant societal fears from which to build their prohibitionist rhetoric. That said, there are also some reasons to believe that the transition from a dangerous and illegal substance to an effective and accepted medicine may benefit from the very long and important traditions towards herbal medicines and a growing confidence from the older generation of qualified medical doctors who have never stopped supporting its use since it was made illegal around 50 or so years ago. There is still many a garden of the aging population of Thais that still have a plant or two of cannabis growing which they sometimes use as a therapeutic herb in cooking various soups if a family member has a headache or other pains. However, they do not see these as having anything to do with “those terrible illegal drugs” they have been told about! 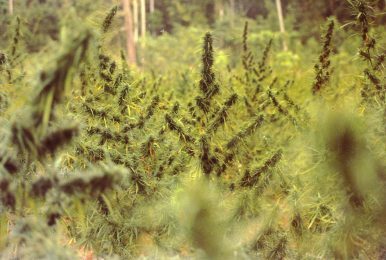 They recognise that Thailand has a long history of producing some of the finest high quality, high THC “sativa” cannabis grown anywhere in the world, due to its near perfect climate for year round production and see the potential to quite quickly become a major global producer and exporter. Once things get moving over here, I think it will move very quickly. I have been invited back in a a few months time to get a first hand look at how their research is progressing. This really could be a spectacular boon to the Thai economy over the next decade or two, which it certainly needs. I wish them all the best and rather hope we can benefit from Thai produced cannabis medicine in the future.